In membership with the National Lacrosse League (NLL), and since 2003 Colorado Mammoth have been playing their home games at the Pepsi Center located in Denver Colorado. The following season, Mammoth developed a sound fan base for it self and soon became the attendance leader of NLL. Colorado Mammoth made their second attendance record a year after the next year, in 2006, where they took over Toronto Rock at the competition at gates. The same year was also the first season in the NLL history, in which the total attendance of the fans exceeded the count of 1 million in one season. And since Colorado Mammoth was the attendance leader that year as well, Mammoths were given the honor of hosting the one millionth fans. This year, Mammoth kept on leading the pack when it comes to attendance and has even beaten the attendance of a National Hockey League team, Colorado Avalanche, who also play their home games at the Pepsi Center. Colorado Avalanche and Colorado Mammoth have one thing in common and that would be their owner, who is E. Stanley Kroenke. Apart from that Kroenke also owns a National Basketball Association (NBA) team Denver Nuggets, MLS team Colorado Rapids and also co owns Colorado Crush of AFL. The team was originally formed in 1987 in Baltimore, Maryland and was called Baltimore Thunder; however, later the club relocated to Pittsburgh in 2000 and became Pittsburgh CrosseFire. The following year the franchise relocated yet again, and this time to Washington D.C in 2001 and was renamed to Washington Power and after staying there for one year, the club finally moved to Colorado and became Colorado Mammoth. As the Colorado Mammoth made it in to the Playoffs in 2006, they squared of against Calgary in a home game. The game went in to overtime and result came in favor of Mammoth. As the team progressed to the round two of the playoffs, Mammoth played against Arizona Sting in the round 2, which was also hosted at the Pepsi Center, Colorado. With the deciding goal being scored by Dan Carey, Mammoth once again made its way to the victory with a 13-12. As the team advanced to the championship game, which was hosted at the HSBC Arena, Colorado Mammoth faced Buffalo Bandits in an away game and defeated them with a 16-9 score to claim their Championship Cup. Gary Gait was the all time scoring leader in NLL. He also played, while being in the roster of Colorado Mammoth and was awarded NLL MVP in 2003. About two years later, Gait retired in 2005 and later that year he was also inducted in the NLL Hall of Fame on November 12, 2005. And to further honor the legend of Gary Gait, his jersey was hung from the Pepsi Center Rafters on December 30, 2005. After his on field retirement, Gait joined Mammoth once again and this time as the head coach of the team. He coached the team in 2006 and 2007 seasons and stepped down in August of 2007. The average Colorado Mammoth tickets will cost you $39 for the event being held on 27/04/2019 at SaskTel Centre, Saskatoon. The minimum get in price is $39 at SaskTel Centre. Will my discount colorado mammoth tickets be delivered to me on time? I want to buy cheap mammoth lacrosse tickets. Do you have them? Yes, we do have Colorado Mammoth Tickets available at cheap prices on our website. Check out our page for details and order your tickets right away! Yes, your Colorado Mammoth Tickets will be delivered to you as per the time conveyed to you when you booked them. 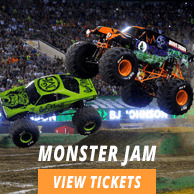 Can I take a look at your terms and conditions before buying colorado mammoth tickets? Our entire list of terms and conditions is available on our website. Please go through it in detail before buying your Colorado Mammoth Tickets.